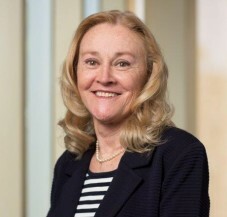 Deborah L. Russell is a Principal in Cummings & Lockwood's Private Clients Group and is based in the Naples office. Deborah focuses her practice in the areas of estate planning, charitable gift planning, trust and estate administration, and post-mortem tax strategies. She is a frequent speaker on estate planning and trust administration topics. Deborah has been recognized as a "Woman of Initiative of Collier County" for her many contributions to the community.